Grown-ups lie. That’s one truth Beans knows for sure. He and his gang know how to spot a whopper a mile away, because they are the savviest bunch of barefoot conchs (that means “locals”) in all of Key West. Not that Beans really minds; it’s 1934, the middle of the Great Depression. With no jobs on the island, and no money anywhere, who can really blame the grown-ups for telling a few tales? Besides, Beans isn’t anyone’s fool. In fact, he has plans. Big plans. And the consequences might surprise even Beans himself. Return to the wonderful world of Newbery Honor Book Turtle in Paradise through the eyes of Turtle’s cousin Beans! 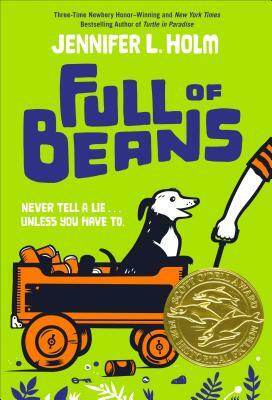 JENNIFER L. HOLM is the New York Times bestselling author of The Fourteenth Goldfish and three Newbery Honor Books, as well as the co-creator of the Babymouse and Squish series, which she collaborates on with her brother Matthew Holm.